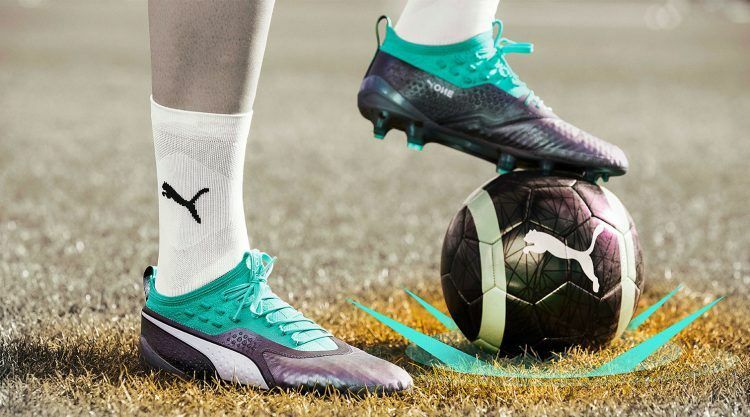 PUMA CATch up>>SPORTS>>Attention, World Cup Players! Your shoes are out! The Football World Cup is just around the corner and for this special time of the year, we believe our players deserve special boots. To shine and light up the pitch. The illuminate pack brings together PUMA’s brand-new iterations of the FUTURE and PUMA ONE in a striking new iridescent colorway. A graphic makeover reflects the pulse of energy the players feel on the pitch as they receive the ball and create game changing moments. The FUTURE comes with a subtle membrane graphic that symbolizes the mind of the creative players who shape the game. 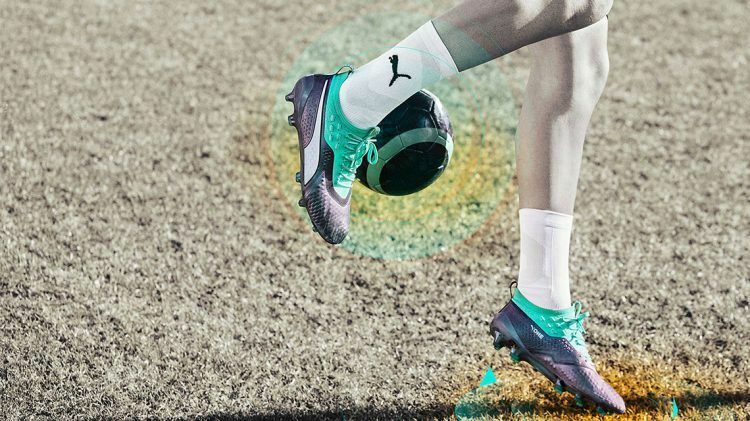 For the Illuminate version of the FUTURE, PUMA improved its NETFIT technology and the upper has been fused to the evoKNIT sock, providing a secure fit that allows the players to react quickly and remain agile. PUMA FUTURE has a lightweight RAPIDAGILITY outsole for super sharp bursts of speed and optimum acceleration. The PUMA ONE has an analytical geometric graphic that mirrors the minds of those players who read the game ahead of others. Coming with a complete progressive update the new PUMA ONE was designed to enhance strike, speed and touch leaving nothing to chance. With 3D dots that lie underneath the K-Leather vamp PUMA ONE provides the perfect touch every player desires further enhancing the overall feel and grip on the ball. 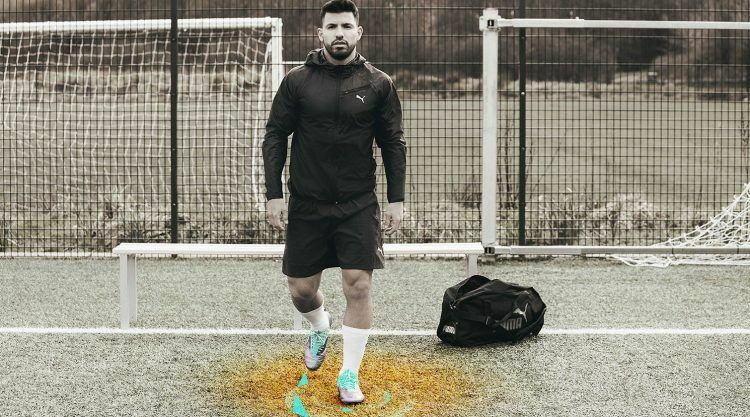 The Illuminate Pack will be worn by our roster of global players like Antoine Griezmann or Sergio Agüero as they step up to illuminate the game each in their own style during the Football World Cup in Russia. Diego Godín from Atletico Madrid plays for the Uruguay National Team as central defender. Together with Switzerland, Serbia and Senegal, Uruguay belongs to the PUMA teams that qualified for the World Cup 2018. It takes place in Russia from June 14th until July 15th. For the FUTURE 2.1 PUMA has refined the adaptable NETFIT technology and improved the concept in every detail. Each lace hole in the NETFIT technology is more closely spaced and applied over a larger area of the upper for even more lacing possibilities. PUMA ONE is for players with real ability, pure class, and perfect play. It comes with a new stud configuration that is now combined with an external heel counter, designed to provide stability and aid quick turns and bursts of pace, altogether offering our players a more agile and reactive boot. 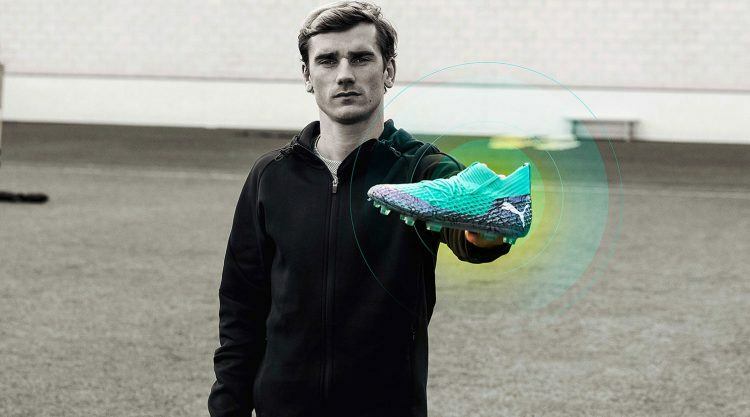 What is PUMA's NETFIT technology?